DC Batman and Lineage2 Revolution are going to celebrate a collaboration together! Enjoy amazing new costumes and Mount that can transform into famous characters from the Batman. To celebrate the DC Batman Collaboration event, special collaboration costumes and Mount will be purchasable for a limited time in the Shop. Special Collaboration Soul Crystals will also be added and your characters can be strengthened like the incredible heroes in the Gotham City. PERIOD: 11/22 (Thu) after the update ~ 12/27 (Thu) before the maintenance. ※ Upon using the Castle of Terror Token, you can obtain <I Am the Night> title. ※ You can only obtain items and rewards related to DC Batman during the collaboration period but you can still those things after DC Batman Collaboration ended. – Characters Lv 50 and above are eligible to purchase this bundle. – This Bundle can be purchased once per character. – Purchased bundle is bound to only 1 character. – This is a bundle has an immediate effect upon purchase. If any additional items from the bundle have been used, refunds will be prohibited. 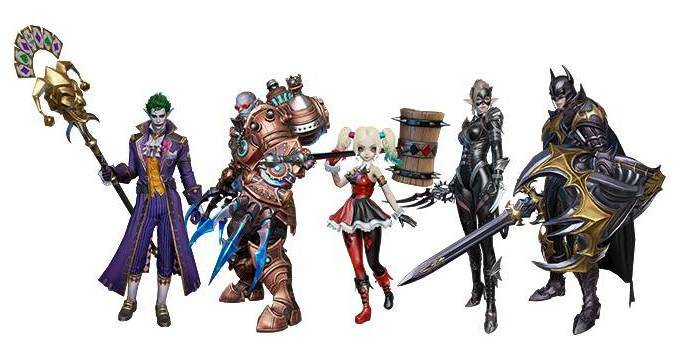 ※ When acquired, DC Batman Collaboration weapon costumes will be determined by which weapon the character uses. – Only characters who purchased the Gotham City Cosplay, Armory Bundle are eligible to purchase this bundle. ※ Only the DC Batman Collaboration Mount Pet can equip the exclusive Mount Pet equipment. ※ DC Batman Collaboration Exclusive Mount Pet can only be mounted when wearing the DC Batman Collaboration Outfit Costume. These new bundles are in celebration of the collaboration between <DC Batman> and <Lineage2 Revolution>. Please check out the bundle information and the notes before purchasing any items. Also, double check everything before making any purchases so that there will be no misunderstandings. We hope to provide you with a better gaming experience and more exciting contents in the future. Hey Buddy!, I found this information for you: "[SEA] DC Batman – Lineage2 Revolution Collaboration – New Items Added to the Shop". Here is the website link: http://l2revolutionworld.com/sea-dc-batman-lineage2-revolution-collaboration-new-items-added-to-the-shop/. Thank you.